Nestled under the International Bridge, discover walking trails, the Canadian lock, photo-worthy sandstone heritage buildings, and the world’s ONLY remaining Emergency Swing Dam. 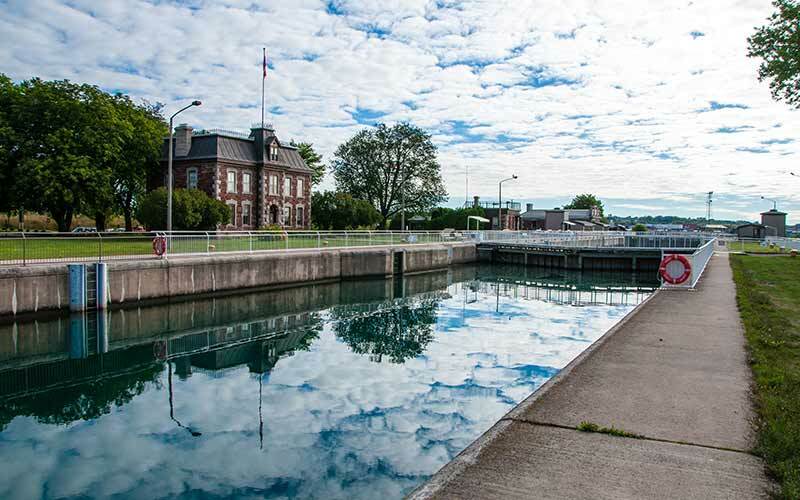 Completed in 1895, the canal formed the last link in an all-Canadian waterway and was the first to operate with electrical power (generated on site). Outdoor enthusiasts may snowshoe, fish the rapids, hike or bike the trails, catch a glimpse of a beaver, and/or bird watch. Enjoy the site at your leisure or join a guided tour; the Visitor Centre welcomes you year-round.